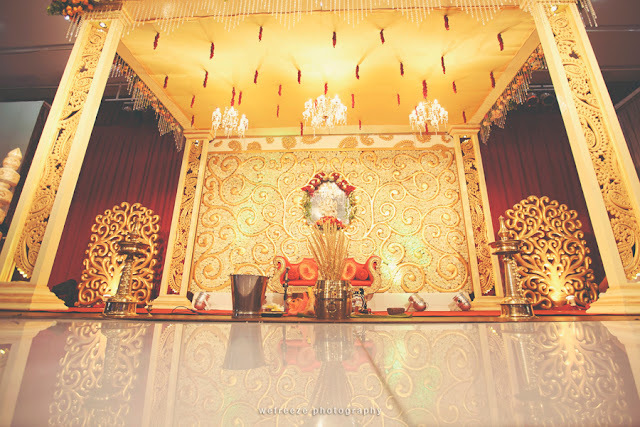 This venue has a cozy ambiance, is absolutely pillarless, and gorgeous looking. 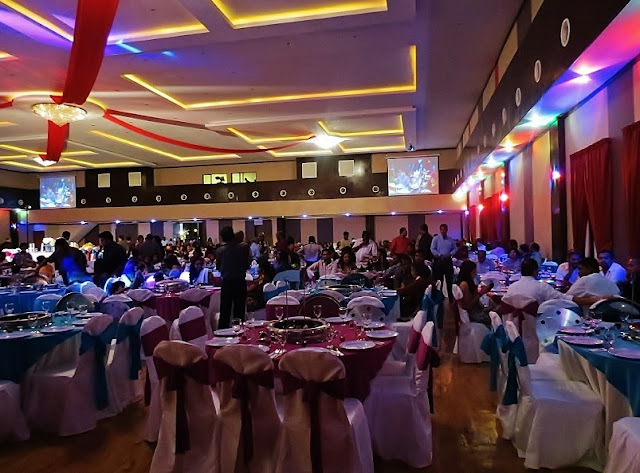 Moreover the hall is equipped with intelligent lighting instruments and state-of-the-art sound system. 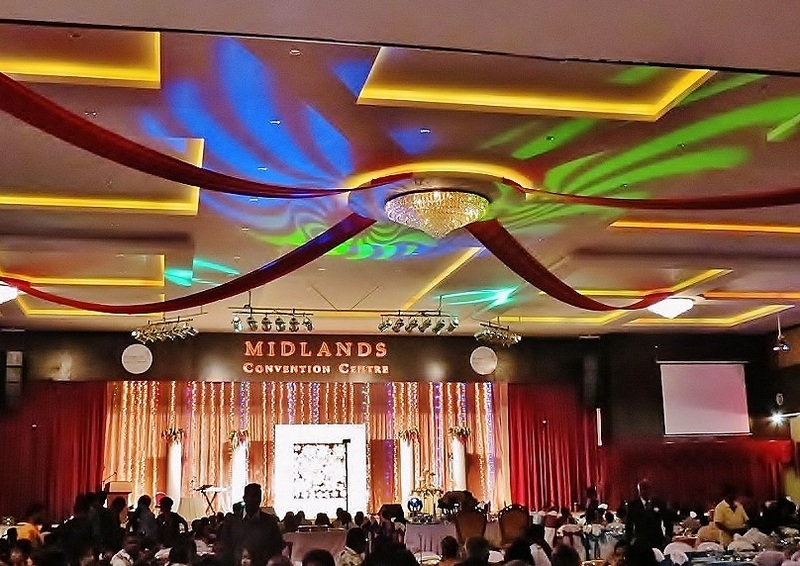 I am not referring to a hotel ballroom but the Midlands Covention Centre (MCC). When I first stepped into the hall I was already captivated by the magnificent chandelier and of course the grandeur of this wedding venue. 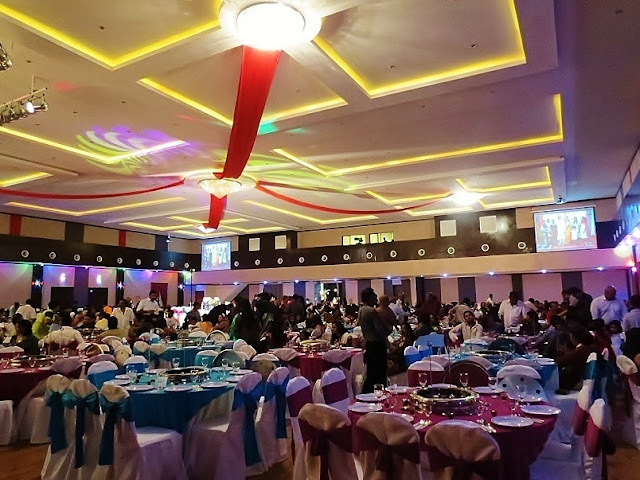 The huge hall can accommodate up to 120 banquet tables. 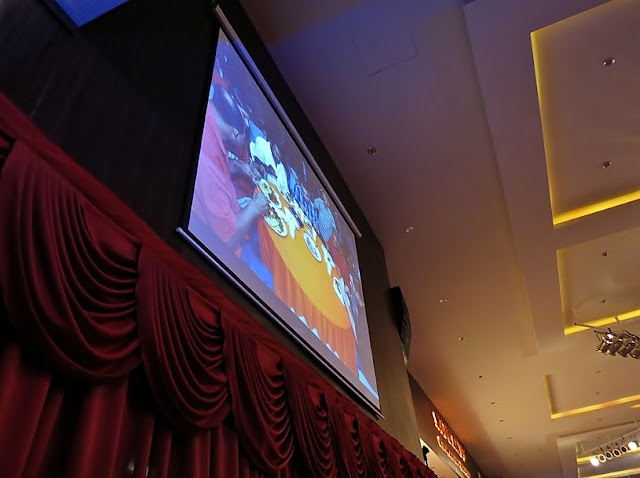 Four projector screens are fixed at the four corners of the room to provide an all-round view with full visibility of the event happenings no matter where you sit. Projector screen placed strategically at the top for a better view. With its own parking lot at the compound of the building, the surrounding area as well as the space next door, it could provide up to 300 parking spaces. 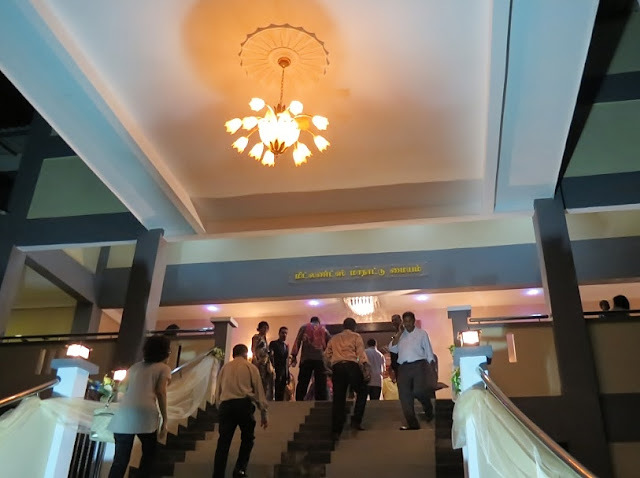 The MCC hall welcomes you with a nice fountain at the staircase that leads up to the entrance where the reception will be. Looking out from the hall's entrance and car park area. Nice entrance to receive your guests. There is a parking area at the compound itself. The 60 x 23 feet stage is equipped with sophisticated lights, moving heads, fog and bubble machines. In general, lighting exhibits an emotion that sets the mood of the environment. You are free to choose the hall light colors to match your wedding team color tones, if not pick the pure warm white for a romantic feel. 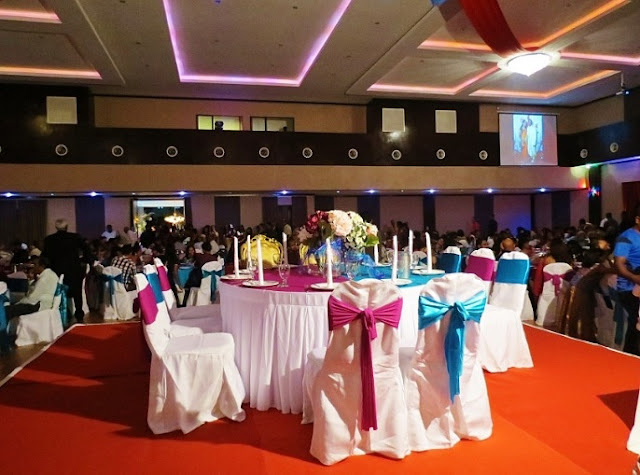 Your wedding videos, music as well as the lights projection will be operated by the convention centre's technical personnel in the control room. 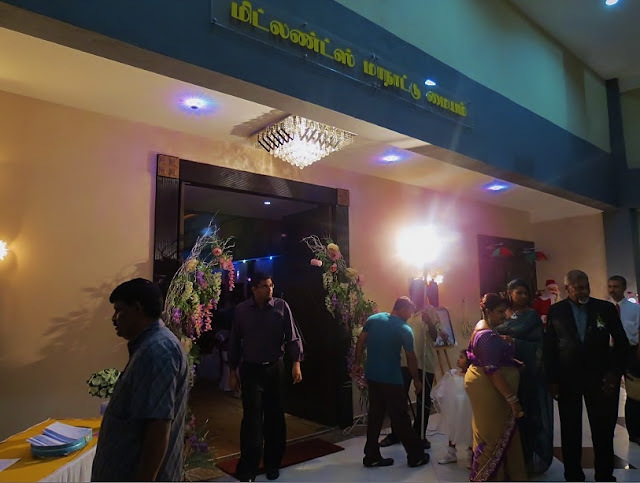 On top of that the entire hall has been amazingly designed to attain optimal acoustics using high-end soundproofing technology. 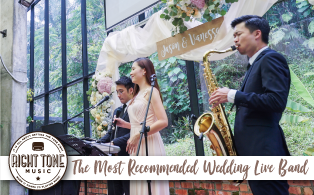 As a result the wedding guests could enjoy a magnificent live band perfectly or have light conversations without any issues. 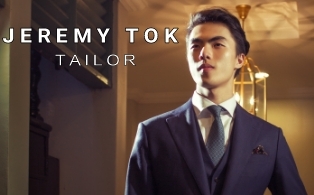 They use American/ European branded speaker system. In my opinion, MCC stands out by its provision of these top-quality facilities. Left: Full scale stage lights. Right: Staff is stationed at the backstage to oversee the technical execution. The stage is decorated with beautiful fairy lights similar to those in a hotel ballroom. 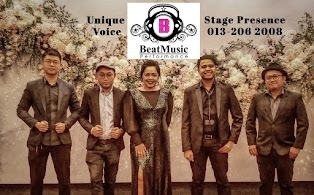 to create the perfect lighting and sound effect for a fabulous wedding. Table setting for the hosts; groom, bride and close family. MCC allocates ten workers, all ready to be at your service on the event day; from two cleaners who are on stand-by to make sure that all rest rooms and the whole venue are squeaky-clean, staffs to handle the technical systems to the RELA helpers manning the traffic. 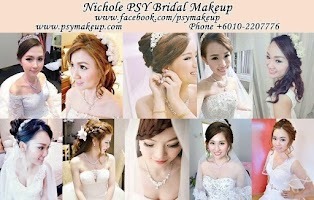 It is most important for the bride to look her best for the wedding reception. 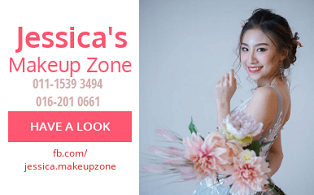 She and the makeup artist can make use of the spacious changing rooms which come with attached bathrooms to get ready. Guys don't really need one :) but it is so nice of MCC to provide a changing room for men as well. Hers and His Changing Rooms. 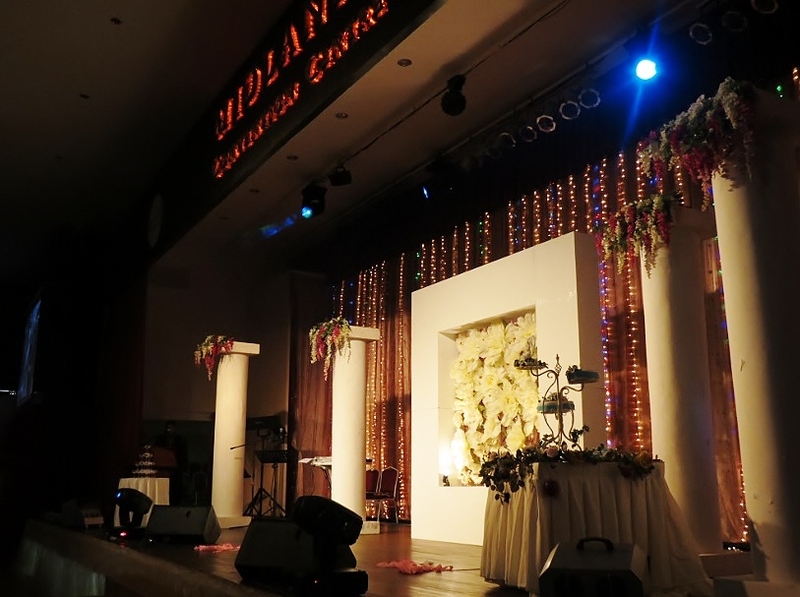 Situated in the heart of Shah Alam city, Midlands Convention Centre is conveniently reachable without much traffic hassle. 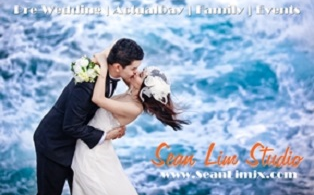 All wedding packages are fully customizable depending on your event requirements. 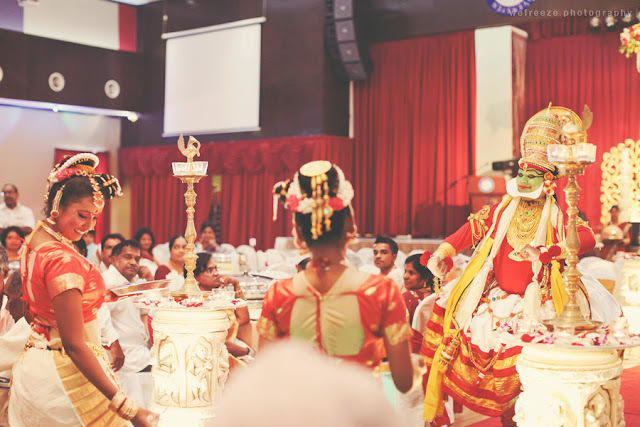 You can take their all-in packages or only the hall rental with an external banquet caterer of your choice. The venue has a canteen where food can be prepared and served piping hot from the wok. Work out your own budget here: Cost Calculator. 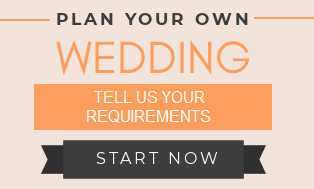 Otherwise, contact MCC's person-in-charge below for a wedding banquet proposal or any further inquiries. 30% deposit is required upon booking. If you wish to exclude items which you do not require, the cost will be lower. No 3rd party furniture, PA or special effects system would be allowed into the MCC. Only service providers registered and/or empanelled by the MCC would be allowed to provide service to users of the MCC. 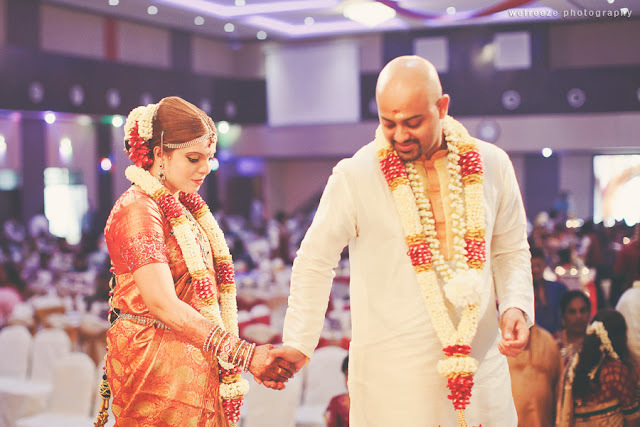 MCC is part of the SRK (Tamil) Ladang Midlands School Complex located at Jalan Plumbum 7/12, Seksyen 7, Shah Alam. Can i knw the package price..